A while back, I wrote a blog on The Scenic Route called "Why Should I move to QuickBooks® Online?," where I discussed the most common concerns or reasons business owners are hesitant to move to QuickBooks Online (QBO) and how I allay those fears and complaints. While discussing the blog with accountants in my region, it became clear that there is an even bigger barrier to migration: CPA’s and bookkeepers who are not fans of QBO and refuse to recommend this next generation of finance management to their clients. Let’s dig into the common "Why’s" behind the hesitation to move to QBO. "Having my client’s information online is not secure." By and large, the biggest concern I hear is that QBO and the internet are not secure. To this, I must ask you one simple question: Do you truly believe that your local network is REALLY more secure than Intuit’s® network? Do you ever email a client? You’re in the cloud. Your client is in the cloud. Do you know what the standards are for security in our industry? The AICPA has a whole initiative directed toward cyber security and performs regular audits for our benefit (formerly SAS 70 reports, now called SOC, or Service Organization Control, reports). Looking for the SOC report when learning about a new online application (typically by Googling "app name security") will bring you and your client peace of mind in the cloud. "Umm … QuickBooks Online is so subpar to QuickBooks Desktop." Really? REALLY? Have you looked at what QBO can do lately? I will admit, there are still a FEW instances where desktop may still edge out online, but BY AND LARGE, QBO can do everything QuickBooks Desktop can do AND MORE. In and of itself, QBO has become the most efficient accounting software on the market. Due to Intuit’s open API (like opening the back door), software developers have been able to create robust software with seamless integrations geared toward specific industries, niches and tasks. QBO gets to focus on being the best accounting tool, while allowing 3rd party applications to be the experts at what they do best. Isn’t this what we’re constantly advocating for our clients? "Let us do what we do best, and you do what you love?" There is an app for almost everything you can think of! Bill pay, A/R management, Costing, Inventory, Point-of-Sale, CRM, marketing, cash flow projecting, financial reporting/dashboards, non-profit needs – the sky is the limit! Once you figure out that QBO is your accounting platform, there is an app for everything else! In my humble opinion, the bank feed feature, in conjunction with the mobile app, is the biggest reason to move away from QuickBooks Desktop. Not only do you eliminate human error from manual data entry, but so much time is also saved by bank transactions AUTOMATICALLY importing into your clients’ books, and mostly being classified automatically based on prior work and bank rules. I thought I’d hit the jackpot five years ago when I figured out how to download a .qbo file from the bank to upload into desktop and then use the online banking feature to classify. This blows that discovery out of the proverbial water. When else can you sit poolside and accept transactions by swiping left on your phone? "I don’t have time to change all of my current processes and procedures to move to the cloud" and "There are not enough hours in the day to learn about all of these new apps and technologies." Time is what it always boils down to – it’s a hot commodity and there’s never enough to go around. So, how do we eat an elephant? One bite at a time. No one is suggesting that you toss out your systems and implement new ones over the course of a weekend. What I am suggesting, however, is that there are smaller, actionable steps you can take to bring your firm into the future. How? Reach out to others in the industry who are already in the cloud. Have a discussion with staff about your intentions and desires. Involve them in the process of finding the internal software that is going to be the most useful for them. Assign them each an app to research and report back on. Start by putting a few clients’ information into these apps and vet them out prior to spending the time moving everything in one fell swoop. Make sure this is the best fit for you and your employees. Not everyone enjoys change, but THIS change will actually SAVE you time in the long run. And, we all know what more time means: More time = more clients = more revenue. Once you’ve started putting your internal processes in place, rank your clients and their industries by simplest to most difficult. Start with moving your easiest clients – the ones who don’t mind change, enjoy being guinea pigs or would be tickled pink to move online. Learn about the technology available to move ONE client at a time. Learn only about the apps that would serve THAT client the best. Train your clients about how to get their information to you electronically via mobile apps that scan or upload to secure online storage. Small businesses are leveraging technology to be efficient and cut costs. Accounting firms who’ve made the switch to QBO are growing faster and are able to provide more value to their clients than those who are tied to their desks. If you want to remain competitive, it’s time to give QBO another chance. 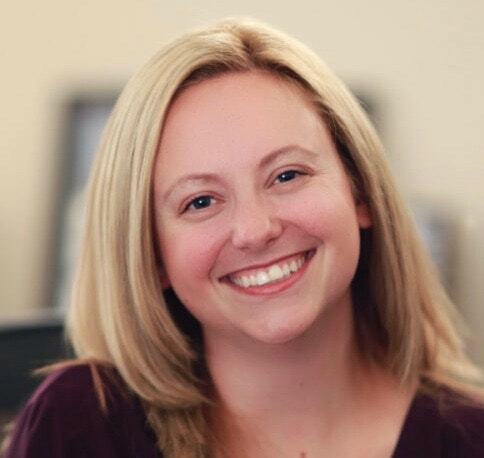 Kristy Monahan is the chief Solutions officer and resident app addict at Dynamic Bookkeeping near Seattle, Wash. When she's not vetting software, she can be found making lives easier for ProAdvisor, CPA and bookkeeping clients, where she practices, preaches and promotes the use of apps for more productive workflow.